You go into the rental business and expect there to be Agreement Forms between you as the owner (lessor) and the client or tenant (lessee). You are all about being streamlined, organized, legal, professional, detail-oriented. You also are impatient with the fiddling paperwork and with drafting the necessary letters and forms from scratch. You want to focus on the business. SampleForms.com is here to help. 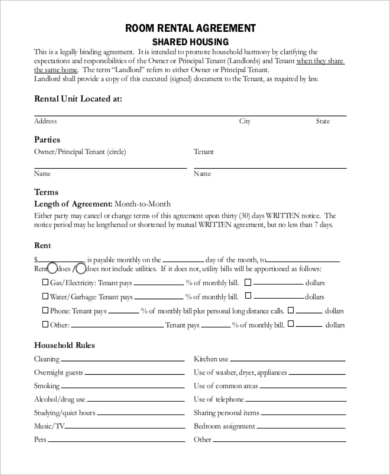 Here is a list of generic rental agreement forms available to download in Word doc and PDF formats completely for free, and completely and easily tailored to your needs. You are most probably leasing either one of two things: a piece of equipment (or a vehicle), or a space (a room, an apartment, a house, an area of land). 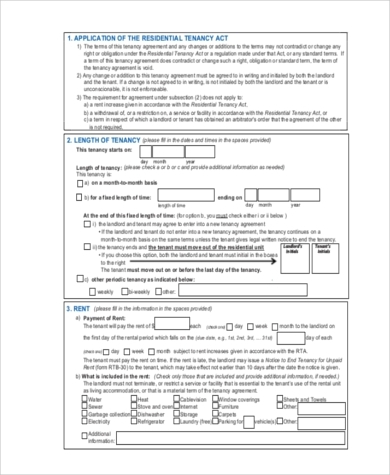 While there are specific Rental Agreement Sample Forms available on the site for each of these situations, this list covers more Sample Rental Agreement Forms. And especially when you are looking to go straight to it without much ado. It’s a simple matter to click, download, and modify the template closest to your needs. Because these are generic templates, they are also designed to be easily printable and immediately useful – so the modification might not even be necessary. You’re welcome. Still can’t find what you’re looking for? SampleForms.com offers a host of free samples and template resources – more than you know what to do with. 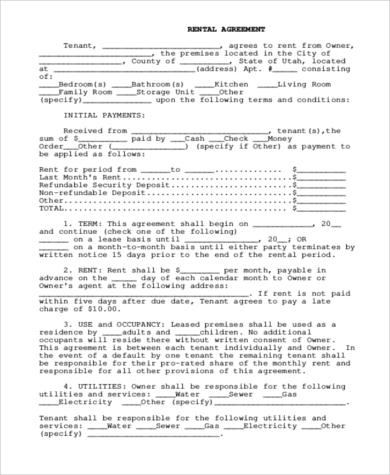 From Blank Rental Agreement Forms to landlord reference letter templates, you can find what you need in almost any rental or leasing situation you can think of. 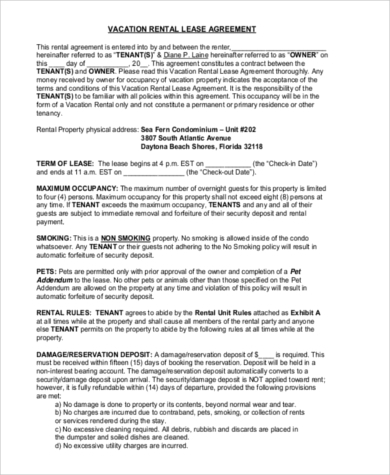 A rental application is a document necessary to assure that a property owner or a landlord is aware of the credit and tenancy records of a tenant applicant. If a rental application is applicable for shared tenancy, then it will be best to use room rental agreements instead. 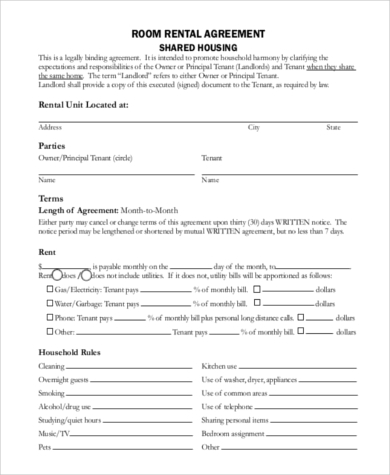 These agreements are essential to be given to all the parties within the rental transaction to make sure that they know the regulations when it comes to either bed space tenancy or shared-house room rentals. 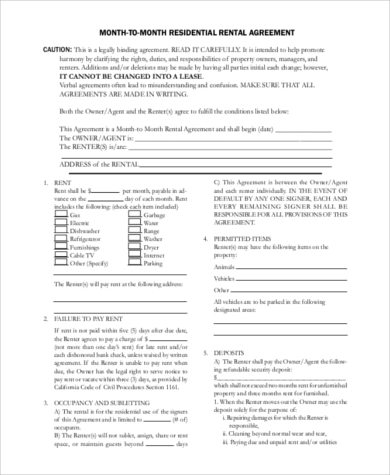 On another note, house lease contracts are commonly associated with tenancy where an entire house or any residential space is being rented for a particular period of time. There is also a possibility for short-term rental agreements to be used as there are properties that have different rates when it comes to weekly, monthly, or annual tenancy. It is very important to keep track in which tenancy category a tenant is in for proper payment documentation. 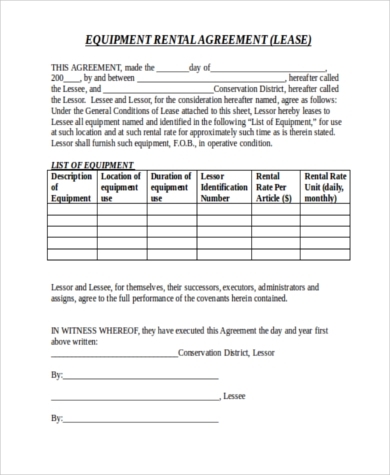 Lease renewal forms also known as extension forms are necessary when a tenant whose tenancy is about to expire would like to extend his/her stay in the property. 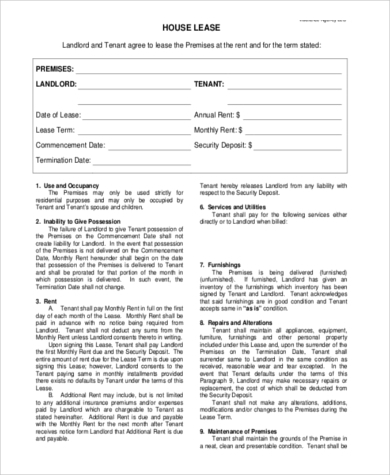 This should be filed at an earlier date so that the landlord will know that the unit or the space will not be available on the coming dates for new tenants who is looking for the space that was supposed to be vacated. 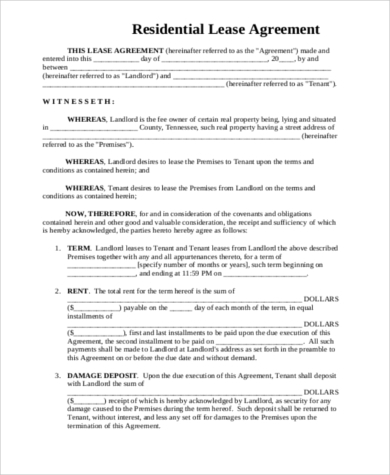 Lastly, it is very important to use eviction notices or eviction letters when ending a tenancy agreement. This document should specify the reason for eviction and the date that the eviction should take place. Having this document will allow a landlord to have a legal evidence about the eviction of a tenant in the property.